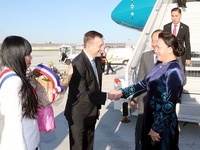 VTV.vn - National Assembly (NA) Chairwoman Nguyen Thi Kim Ngan and a high-ranking delegation from the Vietnamese NA arrived in Paris on March 30. 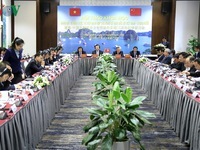 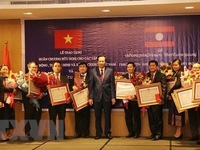 VTV.vn - A conference was held to review 15 years of the implementation of the Vietnam-China Agreement on Fishery Cooperation in the Gulf of Tonkin. 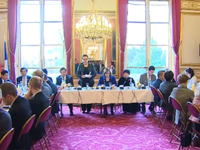 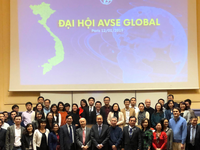 VTV.vn - National Assembly Chairwoman Nguyễn Thị Kim Ngân attended a working session with the France-Vietnam Friendship Parliamentarians' Group and representatives from 15 major French corporations on April 1st. 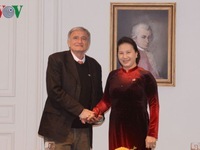 VTV.vn - National Assembly Chairwoman Nguyễn Thị Kim Ngân met with Secretary-General of the France-Vietnam Friendship Association Jean-Pierre Archambault in Paris on March 31 as part of her official visit to France. 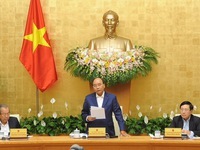 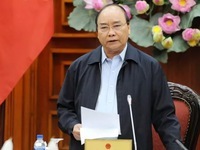 VTV.vn - Prime Minister Nguyen Xuan Phuc chaired the Government’s regular meeting in Hanoi on April 2, to assess the socio-economic situation in March and the first quarter of the year. 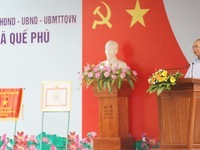 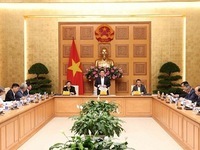 VTV.vn - National Assembly (NA) Chairwoman Nguyen Thi Kim Ngan had a at a working session with leaders of Kon Tum province, Central Highlands region on March 18. 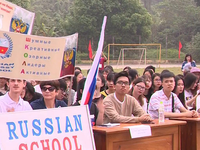 VTV.vn - The Vietnam - Russia Colorful Festival 2019 launched in Hanoi on Saturday morning. 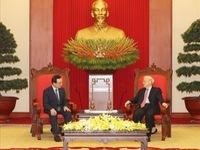 VTV.vn - PM Phuc had a meeting with Lee Hyo-Seong, Chairman of the Korea Communications Commission (KCC) in Hanoi on Tuesday. 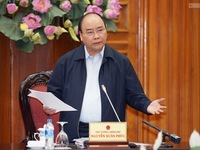 VTV.vn - Deputy Prime Minister Vuong Dinh Hue chaired a meeting of the National Financial and Monetary Advisory Council on March 28 to discuss policy recommendations amid a rapidly changing global economic context. 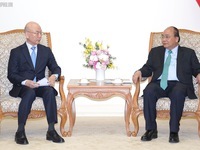 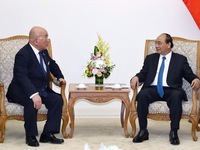 VTV.vn - Prime Minister Nguyen Xuan Phuc lauded the strong growth of the Vietnam-Japan extensive strategic partnership as he received the Special Advisor to the Japanese Cabinet Isao Iijima in Hanoi on March 29. 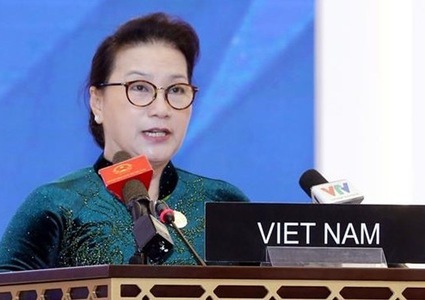 VTV.vn - National Assembly Chairwoman met with Morocco's Prime Minister Saadeddine Othmani in Rabat on March 28 as part of her official visit to the African country.